Some long while back I won this little box of Sally Hansen Real Nail Polish Strips in a giveaway. I was grateful to receive them but scared stupid to try them. Seriously. Scared out of my ever loving little mind of these little ready made manicures. You see, I'm not so good at stuff like this, or so I thought. And I have read reviews where people have experienced bubbles and wrinkles and creases and endless frustration and I was convinced that it was going to be a lot of the same for me, so into a nail art supply drawer they went. And there they languished. For a long time. One day last week, I got a wild hair and decided that was the day. The day I was going to brave the nail polish strips. For better or for worse, it was going to happen. So, with trepidation and hope I opened the package, dug out the contents, sixteen nail polish strips in various sizes, a small orangewood stick and a small emery file and an instruction sheet. I read the instructions very carefully, got everything ready to go and got my nail polish strip on. Got my ten nail polish strips on. And you know what? It was actually pretty easy. There is definitely a little bit of a learning curve with this type of product, but once I got the hang of how they worked, it got easy and I was able to go right along. I learned that these like to be applied in a warm room. They need to be plastic and malleable in order to go on smooth and bubble and crease free. If the strip is too wide, no problem, it is easy to trim away the excess along the edges with a nail or cuticle pusher. I applied one strip that was a bit too narrow and it left a gap of bare nail along one side. I took some of the excess material trimmed from the tip, trimmed it to a narrow strip, laid it in to cover the gap, then using a fine brush I applied a tiny bit of lacquer thinner to the seam, gently pressed with my finger (I do mean gently!!!) and let dry. The seam was nearly invisible! The repair could only be seen if you were looking for it and you knew it was there. Once the strips were on, the free edges filed clean, I had a little excess along the sides and at my cuticles. What to do? "Uh... What are those strips made of?" Myself asked myself. "Nail polish, " I answered. "Well, how do you clean up nail polish?" "Of course!" I grabbed my cleanup brush and acetone and refined the strips where I wanted to do so. Happy-happy. Perfect fit! As you can see, the tips are a tad rough, I have to learn to be a little more careful about filing away excess material and when I did cleanup I got a little carried away, here and there, And strips are a little harder to cleanup than wet polish so it isn't as perfected as I would like but I am still really happy with how the application turned out. The strips were lovely and shiny all on their own, not top coat was needed, and they are instantly set and dry. No waiting time, at all. I got right on with my day. Wear time wasn't stellar. I wore these for four days. I think that my filing at the tips had something to do with how they wore. Again, practice... I would be inclined to top these with top coat and wrap my tips to boost shine and increase wear time and give my delicate nails more protection at the tips, next time. I like Sally Hansen Salon Effects Real Nail Polish Strips. They are cute and fun to wear. They are easy, if a tad time consuming to apply. They come in a wide selection of pretty colours and fun patterns and I have seen seasonal designs, too. I'll definitely pick these up and use them, in the future, now that I am confident that I can use them successfully. Have you tried nail polish strips? Either Sally Hansen or other brands? What do you think of them? Did you find them easy to use? Is there a particular brand that you really love? Don't like so much? Please do tell, I'd like to hear your thoughts. This is Zoya Skylar. A beautiful dusty medium blue creme with a silver shimmer. This is an amazing blue, it is soft and flattering and easy to wear. I feel that this is a perfect, year 'round colour, it would work beautifully for any season and, dare I say it... In just about any setting. Skylar is one of those "alternative" colours that, in my opinion can swim in the mainstream. The formula on Zoya Skylar is fabulous. This polish is smooth, silky and has perfect viscosity. It sits sweetly down where it is placed, smooths up the nail without streaking, dragging, running or pooling on the edges, it self levels like a dream. Two coats give opaque, smooth perfection. Dry time is slightly poky, A nice quick dry top coat is a help. I wore this for a full four days and only saw minimal chipping on the fourth day, so really good, in my book. What do you think of the beautiful Zoya Skylar? Do you own this polish? If you would like to have it, Skylar is is available on Zoya's website and where you can find Zoya in stores. I recently bought some I Love Nail Polish ultra mini polishes and one full sized bottle, as I really wanted to try the brand and the minis made it possible for me to try more of the pretties I have my eyes on for a smaller initial cash outlay. Easier on the old budget, for sure. I figure any that I really, really, really love I'll go back and get in full size. I purchased four minis and one full size. The full size is a Christmas-y one that you will see later on, in the year. One of the minis I bought is Strawberry Creme. Strawberry Creme is a beautiful thick cream white crelly base which dries to a shiny, almost porcelain like finish with small square and round and medium round glitters in varied shades of pink embedded in it. This is so sweet and pretty. Shown here is two coats and Gelous and Seche Vite. I Love Nail Polish polishes come packaged in their own little box. Even the ultra minis. What lovely attention to detail. I Love Nail Polish has a great brush! Very similar to my beloved OPI Pro Wide brush! Not quite as wide, slightly more "mop-like". I love the brush. Love it, I say! The caps on the bottles are great, too. Rubberized and comfy to grasp and to hold. This polish drove me out of my mind. The base is so very thick. As regular readers probably know, I don't work and play well with very thick polishes. I don't know why, I just don't. I find that I do better with a thicker polish after I have a chance to thin it down. I thinned this polish down as best I could, the bottle was so generously filled (no complaint there!) that there wasn't a huge amount of room for thinner but I got as much in as I could. I shook it well and let it sit overnight. The next day, it was thinned enough that I thought that I could deal with it so I got to it. Application was difficult. The polish started out relatively easy to apply, the first coat was a bit streaky, not unexpected, with a jelly-ish white. The glitter went on very nicely, distributing evenly up and across my nails without having to pat or place or coax it into going where I wanted it. By the time I got to applying the second coat, the base was really tightening up on me and I struggled with it. I had to do a lot of cleanup as I didn't take a great deal of care, I just wanted to get the polish on my nails and worry about perfecting it, after. I was thrilled at how opaque and streak free it was after the second coat went on. I could have skipped Gelous, this polish is very smooth and silky. With the Seche Vite, even as thick is it came out, dry time was pretty decent. If you look carefully at the photographs, you can see that my nails are covered in bubbles. The difficulties I had in application, overworking, and so forth resulted in this bubbling horribly. This polish wears beautifully. I wore this mani for four full days and had only very minor tip wear, Impressive, to be sure. Removal required good old foil removal method. I am not thrilled with this particular polish but I am not ready to give up on it, yet. I dumped a bunch more thinner into it and shook it up and one day, I plan to do a base of solid white and try it as a topper and see how it performs, used that way. Would I purchase Strawberry Creme in a full size? Probably not. I don't know that I would wear it frequently enough or if it would be worth dealing with how thick the base is, having to thin it, and so forth. I have three more I Love Nail Polish ultra minis to try. They are more like your regular glitter toppers, clear bases packed with beautiful, imaginative glitter mixes. I'll be trying them, in the near future and I'll be sure to let you know what I think. If you are curious about I Love Nail Polish and would like to look them over, their site is here. Their site is well laid out, easy to navigate and shop. Registration and checkout is smooth,secure and accurate. I received an instant order confirmation by e-mail, my order shipped fast and it arrived beautifully and safely packaged. I had a very nice shopping experience with I Love Nail Polish and I will definitely shop with them again, as there are other polishes, including some very tempting looking holos I want to get my greedy hands on. Thank you so much for popping in and reading this very long post. If you go through all of this nattering, I salute you! Have a great day and may your polish never bubble. Today I am sharing mattified dots and roses in bright pinks and yellow. The base colours are OPI Kiss Me On My Tulips and Orly Lemonade on my ring nail. Dots are OPI Pink Friday, Orly Lemonade and China Glaze Snow. Roses are hand painted in Kiss Me On My Tulips, Pink Friday, China Glaze Snow, leaves are China Glaze Holly Day, Budding Romance and Gaga For Green. The whole thing is topped with Orly Matte Top. Not some of my best roses... They were kind of blobby. And the leaves were way too big. Oh well. No one could ever accuse me of being Rembrandt. And it's just nails. Just for fun. Sadly, this mani only lasted a couple of days. I ended up chipping it pretty badly in a cleaning jag. Ah well. I have the picture to remind me of it. So, matte seems to be making a resurgence in popularity. Are you embracing the trend? I resisted for a long time but every once in a while, I kind of enjoy the look. Mama Fashionista: Mama Fashionista wants to introduce you to the wonders of royal jelly! Meet Burt's Bees Radiance Collection! My Highest Self: Tina swatches and reviews Eddie Funkhouser Primer, Foundation and Concealer this week! 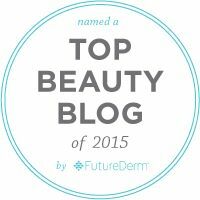 BeautyTidbits: Need help to revamp your makeup and skincare routine for summer months? Check out Harshleen's Summer Beauty Essentials to look your prettiest in the heat! 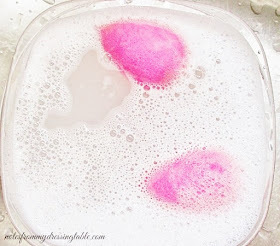 Lola's Secret Beauty Blog: Want unbelievably clean, soft, silky and gorgeous skin? Then meet TATCHA Polished Classic Rice Enzyme Powder- it's amazing! Advice Sisters Beauty, Fashion & LIfestyle WebSite: It’s really a challenge to stay fresh when sweat is literally dripping down the back of your bra, but a good deodorant can go a long way to keeping you smelling like a woman, not like livestock in a freight car. Alas, many of the deodorants have powerful chemicals that can cause irritation and rashes. Even if you’re not normally sensitive, over-use of a strong, chemical deodorant, can cause issues. Painted Ladies: Year 3 of 365 Days of Makeup is complete! Here are Sheila's top 10 favorite looks. Peppermint Lips Beauty Blog: MAC Girl About Town Lipstick Review and Swatches! Beauty by Miss L: Miss L reviewed lovely mineral eye shadows from Candy Minerals. Geniabeme: Take a look at Geniabeme's go to Summer eye look! TheFabZilla: Try it! Summer Bright Waterline for Makeup Dummies. Beauty Professor: The Beauty Professor loves the Hourglass Immaculate Foundation so much that she has swatches of ALL 16 shades for your viewing pleasure! Midnight Manicures: Milani introduces new eyeliners, the Liquid-Like and Eye Tech Bold. See what Jeanie thinks about them in her review. Lipgloss Break: Lipgloss Break reviews Inglot AMC lipgloss and matte nail polish. I did this mani with China Glaze Strong Adhesion Base Coat, two coats of OPI My Very First Knockwurst and one coat of OPI Teenage Dream, topped with Gelous and then Seche Vite. This look lasted me five days with little wear, and was actually surprisingly easy to remove. I didn't have to do a foil soak to remove it. Pressing a cotton round with acetone to each nail for about thirty seconds loosened everything up very nicely and allowed for fairly easy removal. I know that these polishes were both limited edition, I think that My very First Knockwurst is still available. Teenage Dream is a bit hard to find, but there are other pretty, delicate glitters out there that would do very nicely and give a similar effect. A while back I did a little nail art. I have been doing that a bit more often, lately. I don't know what's gotten into me. This was a fun, bright design of flowers dotted on a bright green background. I used China Glaze Def Defying for the base colour, made the flowers in white then dotted the colours over the white so that they would pop up off of the green. I chose China Glaze Fancy Pants (purple), Dandy-Lyin' Around (white shimmer) and Lemon Fizz (yellow), OPI Suzi's Hungary Again (coral pink) and Wet-N-Wild Black Creme for the centers. The whole business was topped with Seche Vite. A little primitive, but I liked it. Thank you so much for dropping in and reading. Have a great day, stay cool and may your polish never bubble. Light blue polish is hugely popular. Everyone seems to be on the lookout for a good one and Color Club Evolution is. A good one. A good light blue polish. A beautiful rich, warm, light turquoise blue. I am inordinately fond of this colour. I don't know what it is about this particular light blue, it just feels right. The formula on Evolution is a bit of an odd duck. It is this strangely gloppy yet fluid and spreadable crelly. Applied with plenty of polish on the brush, the first coat is very streaky, but by the time the second coat goes on, it magically self levels into a perfect, opaque, smooth finish. Otherwise, I didn't have any trouble with it; there was no pulling, bubbling, running or pooling. Dry time is decent. Like I said... Odd duck. But don't let that send you in the other direction. Once you get a feel for this formula, you will love the final result. Along with the beautiful, if a bit of an odd duck Evolution I have Pearl-Spective, a lovely iridescent mini flaky topper. This is one coat over Evolution and once again, topped with Seche Vite. So, gentle reader, what do you think about Evolution and Pearl-Spective? Aren't they pretty? Lovely for Summer but I can see both of these easily transitioning into Autumn and Winter, too. If you would like to evolve, you can find this gorgeous blue here, at various beauty supplies and where Color Club is sold. Like Color Club on Facebook and follow them on Twitter to keep up with the latest. Limited edition Neon Revolution mini sets will be available beginning July 2013 at professional salons, including Beauty Brands, Beauty First, Chatters, Dillard’s, jcp Salons, Pure Beauty, Regis, Trade Secret, ULTA and ulta.com for $19.95 ($24.95 CAN) suggested retail for each mini pack (includes all six products). 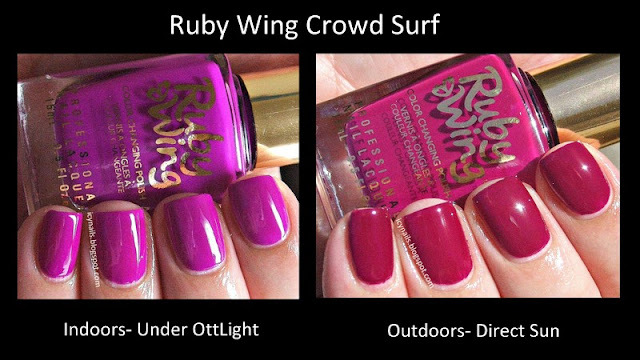 Ruby Wing Crowd Surf is a bright, cool, violet neon colour shifting bottle of Summer fun. Ruby Wing Color Changing polishes are one colour indoors under artificial light then change in direct sun to a deeper, darker, warmer value of that colour. With a simple dotted flower design in Ruby Wing Groupie to see how Groupie dots. Very nicely, as it turns out. I did need to dot two coats for fully opaque dots. These polishes will be fun for nail art, as well as all over wear. The formula on Ruby Wing Crowd surf is terrific. Silky and smooth, it applies like a dream, no streaking, dragging, pulling, running or bubbling. Dry time is fairly quick and, thanks to the neon pigments, Crowd Surf dries with a bit of a satin matte finish. For maximum shine, top coat is required. What do you think of this pretty colour shifter? If you are interested in acquiring it, you can find it here. Ruby Wing is also available at various beauty supplies and other retailers where Color Club and Ruby Wing polishes are sold. You can like Ruby Wing on Facebook to keep up with the latest goodies or follow them on Twitter. A quick post, today. This is a glitter gradient I wore a little while back. I created this with OPI Eurso Euro and Shimmer Polish Jenny. It is topped with Gelous and Seche Vite. Shot indoors under my OttLight. I like how this turned out. I wasn't able to figure out glitter gradients for a long time. I know... Huh? They are such no brainers. But that is how I roll. They confounded me something terrible. Now that I have cracked the secret (duh! just wipe excess polish off the brush and dab and swipe it on the nail) I find myself really enjoying glitter gradients. Today I have a new to me polish to share with you. This is a special effect polish from the makers of Color Club. 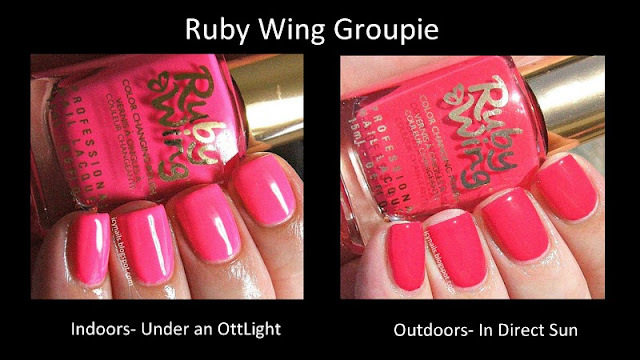 Ruby Wing is their UV sensitive colour changing nail enamel. Groupie is a bright neon pink that shifts in the sun to a warm, raspberry pink. The colour shift is impressive and it took less than sixty seconds. The shift back to bright pink, once I went indoors was just was swift. This swatch is two coats with Seche Vite. Indoor shots were taken under my OttLight and outdoor shots were taken in direct early afternoon sun. The formula on this polish is nice. Slightly thick for a neon, application is smooth and easy. Care does need to be taken not to over work this polish, as it will drag a little if you go back over it too much. Just be deft and sure as you apply it and you will be fine. This polish is a bit streaky on the first coat but by the time the second coat is applied, it is perfectly smooth and opaque. This polish is easy to control, I had little cleanup, what I did do was mostly just fussbudget refining. Dry time is very good with this polish. I like Ruby Wing Groupie. I like the fun colour change effect and the two colours are very pretty and would be flattering to a wide range of skin tones. The colour change is fun to watch, too. Just don't let it distract you when you are driving! Ruby Wing polishes can be found on their website, at various beauty supply stores, retail stores and online. What do you think of Ruby Wing Groupie? Do you go for special effect polishes? Have you tried this one or any from this brand? Please to share, I'd love to hear what you think.